100% Grass-Fed Devon Cattle - Welcome to Lamppost Farm! Our first Devon cattle arrived in October 2009, and our herd has grown to about fifty cows today. They play a significant role in rejuvenating our pasture and growing into some of the best beef in the Mahoning Valley. This herd represents our philosophy and practice of holistic high-density grazing. Read this link by Gerald Fry, President of the North American Devon Association. It is titled, "Are You As A Cattle Breeder Pleasing To God?" ​The picture on the previous page is Keystone Barnabas. He is the Sire to Glenstorm, our first purebred Devon bull, who arrived at Lamppost in the Spring of 2010. It has been said that Devons are the "best in the grass business," and we agree! 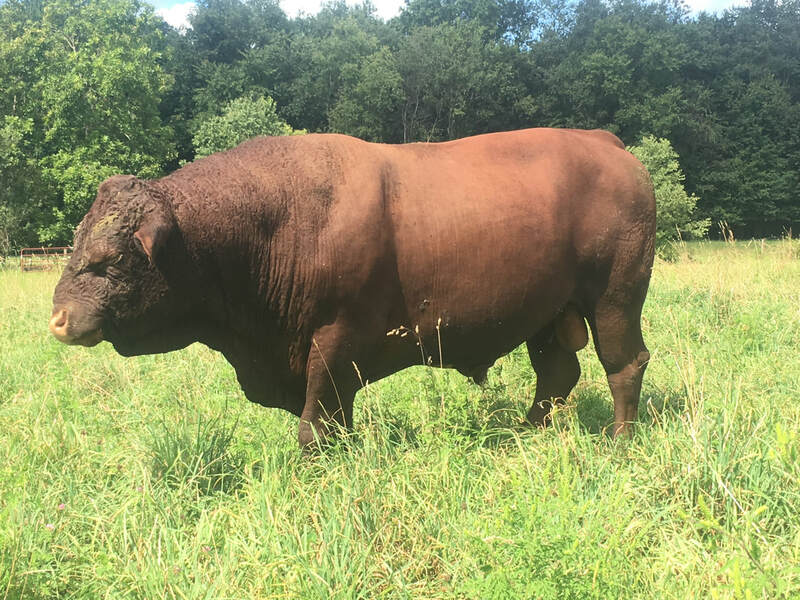 Because of their ability to convert grass into healthy and marbled meat, we are able to raise our cattle on nothing more than green pasture in the summer and hay in the winter. Visit Ohio Devons to see more information about our Devon Herd and Devon Cattle we have for sale.